The new Honda 2017 FourTrax Foreman 4×4 Utility ATV is another masterpiece by Honda Brand. It is the best tool for those who want to use it on a farm for different activities. It gives the best riding experience in rough and tough surfaces plus it is reliable as well. It gives best performance and fun ride. Its design is quite similar with 2017 Honda FourTrax Rancher and 2017 Honda FourTrax Recon. 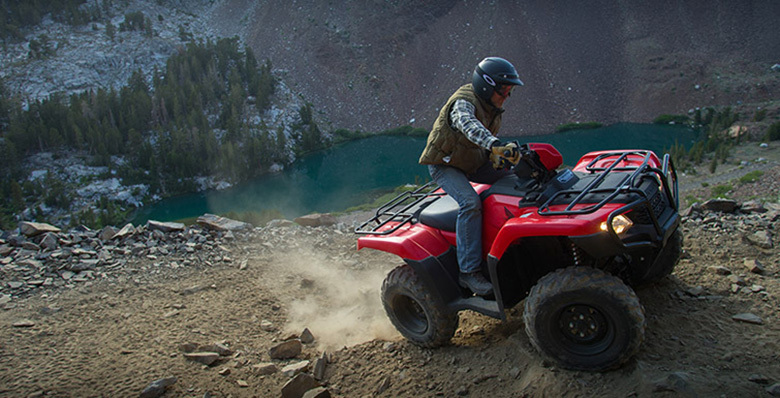 The new Honda 2017 FourTrax Foreman 4×4 Utility ATV features the best fuel injected 500-class engine providing an excellent power and fuel efficiency. It features the strong chassis providing the long suspension stroke for excellent handling and smoother ride. Its quality components give an ultimate performance. The front differential lock maximizes the front-end power traction and transfer. It features and aggressively styled bodywork with a new color combination. It is recommended for riders of 16 years or older. Following are it is reviews. The new Honda 2017 FourTrax Foreman 4×4 Utility ATV features the compact and lightweight engine with Foreman’s overhead-valve. It has the semi-dry-dump design which creates this engine much shorter from top to bottom. This enhancement gives the best handling plus it lowers the center of gravity and increased the ground clearance. The orientation of engine crankshaft is kept front to back and it power flows straight to its wheel without any unnecessary right-angle detours. It results in the reduction of powertrain friction and more power. 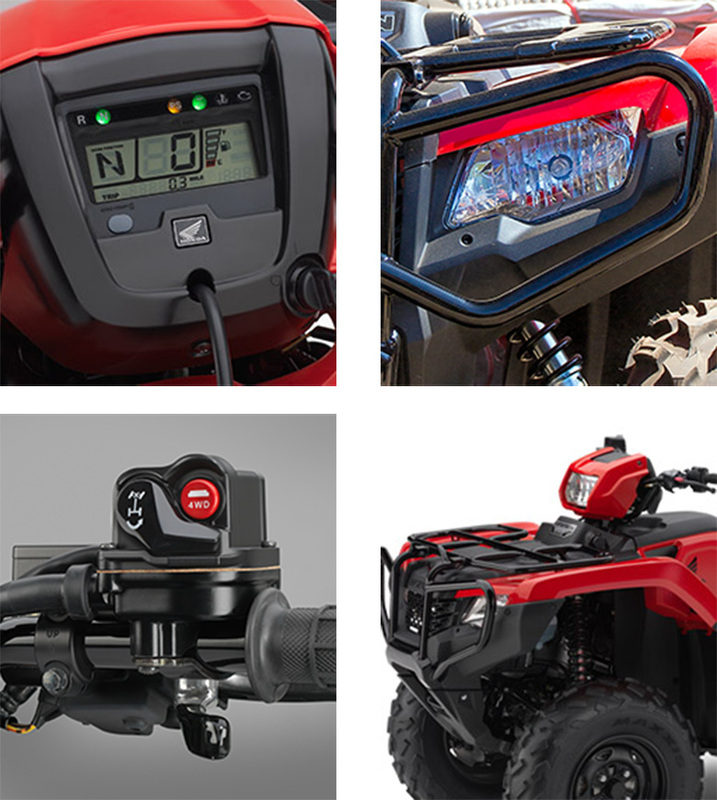 By the use of oxygen sensor into the system, the new Honda 2017 FourTrax Foreman 4×4 Utility ATV delivers better fuel efficiency and fewer emissions. Its ECU instantly adjusts the mapping of fuel injection to match the riding conditions for better fuel efficiency. The new Honda Electric Power Steering (EPS) is both speed and torque sensitive and it provides an ultimate performance. It is specially engineered for max strength and rigidity. It delivers the powerful ACG output, which means it is capable of handling more of rider accessory power needs. The durable Traxlok system lets the rider to choose either 2WD or 4WD for lighter and maximum available traction. 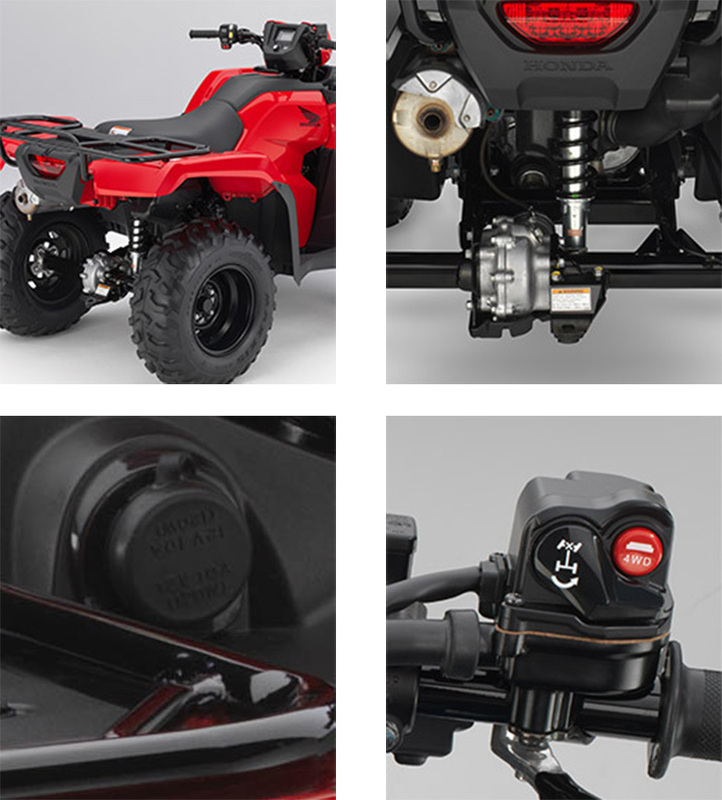 There is a special reverse lever mechanism is also used in this ATV so that rider can easily use it when required. This Honda Bike uses the special ESP system that gives an excellent upshifting and downshifting. For shifting, a rider has to push one of two handle-mounted buttons. The engine features the liquid-cooled system that gives more consistent operating temperature and is better that air-cooled engine. It gives the best performance plus adds to the longer life of an engine. 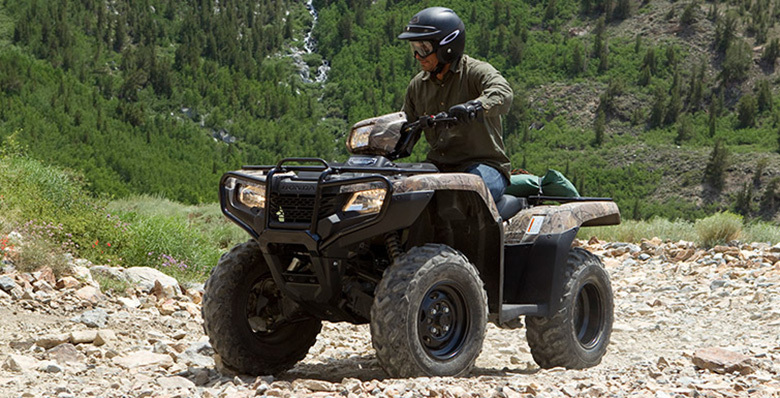 The new Honda 2017 FourTrax Foreman 4×4 Utility ATV features an aggressive body style. It has tank and side covers that come in one piece, which results in easy and quick access to the engine. The frame is designed for tough surfaces plus it looks good. It also protects the rider for mud and other debris. It features the plush seat and an open rider triangle (seat/bar/pegs) teams up with the new suspension for the best ride. It provides the comfortable ride with its ergonomically perfect body. It features strong steel carriers front and rear, both have more capacity than previous models. It features strong rear swingarm with the solid axle offering the best capability for towing and hauling. It’s long suspension stroke and plush seat give the best comfort all day long. When a rider is exploring in the night, the new Honda 2017 FourTrax Foreman 4×4 Utility ATV uses its 35W headlight to illuminate the path. It also features the 45 watts of assist lights which run independently of the headlight so that rider can it on when needed. 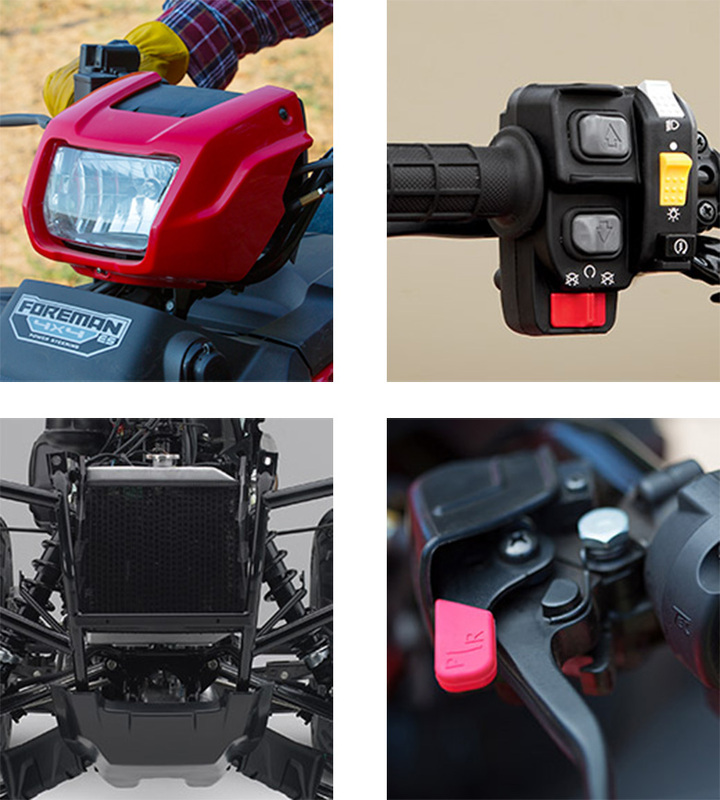 The rider can increase the traction by using the electronic differential lock. 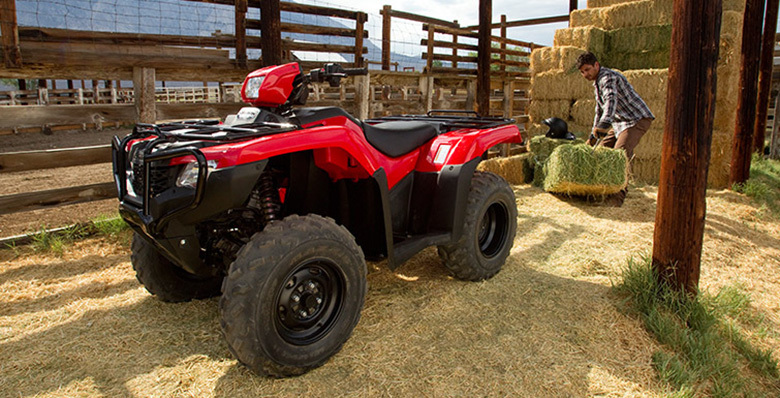 The new Honda 2017 FourTrax Foreman 4×4 Utility ATV comes with an affordable price of $7,299 only. Emissions It meets the current California Air Resources Board (CARB) and EPA off-road emissions standards. 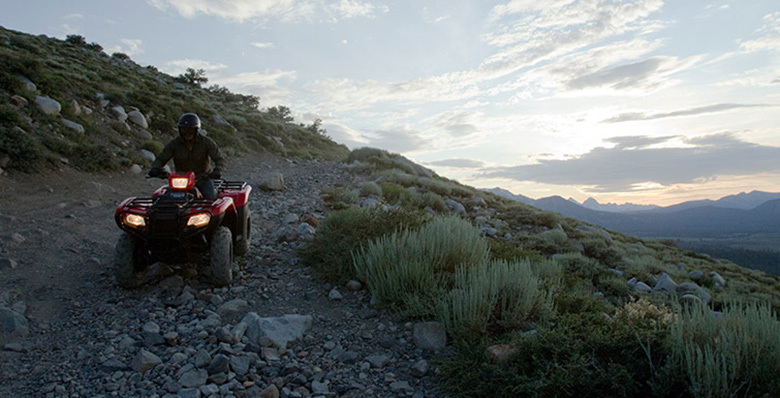 This article is all about the newly launched Honda ATV i.e. Honda 2017 FourTrax Foreman 4×4 Utility ATV and its review is covered under www.bikescatalog.com. It is an incredible quad bike from the Best Quad Bike Brand in the World. Its performance is ultimate on rough and tough surfaces. Its wheels and tires provide the best traction of all kind of surfaces.